We’ve FINALLY had a few days that feel like fall, and it got me thinking about our need to improve the coat & glove situation before the colder weather hits. Last winter, our coats always ended up hanging on the back of our kitchen barstools, and the gloves got thrown on the island. And it never failed that one glove disappeared. Coming in from our garage, we have an itty-bitty, super-tiny space. 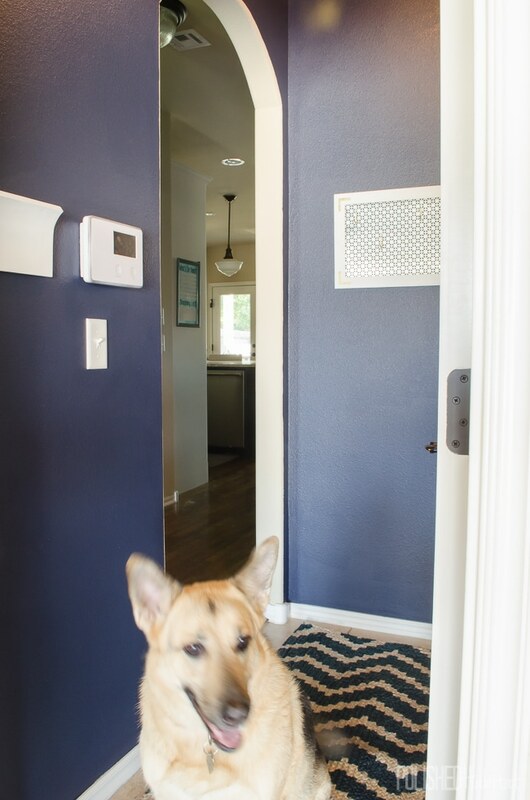 A 3 x 5 rug fits with just a couple of inches all the way around, so we’re looking at just over 15 square feet. It feels even smaller. 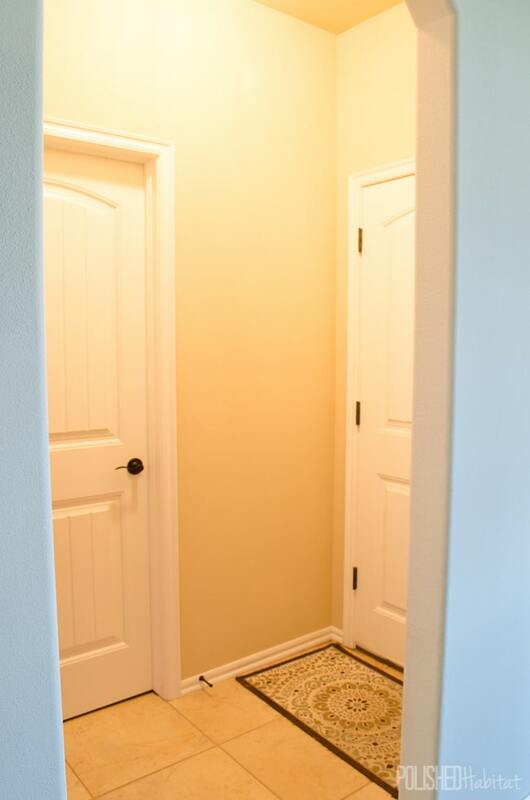 There are openings on three of the walls – the door to the garage, the door to the laundry room, and an opening to the main entry hallway. 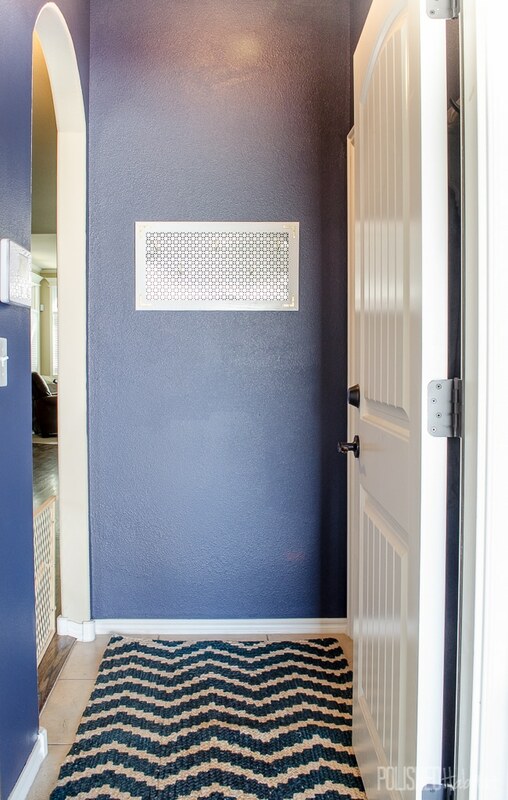 Because of the size, it was easy to overlook the space’s potential as a mini-mudroom. 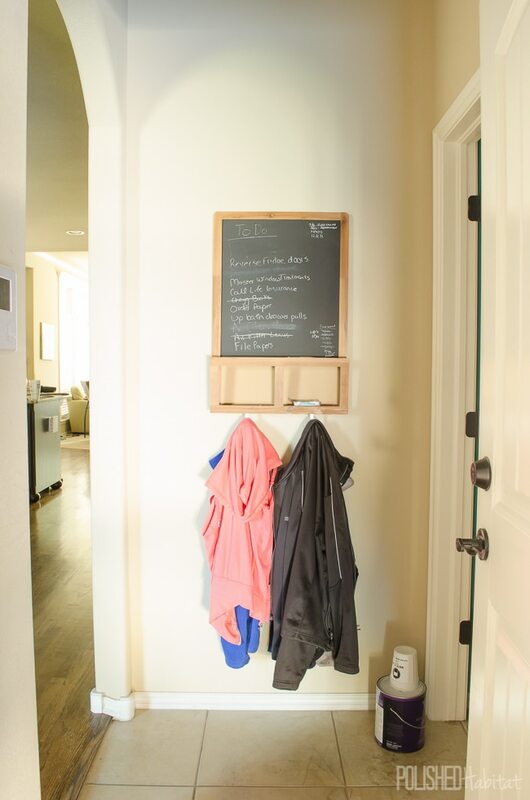 We had an IKEA chalkboard with hooks on the bottom, but they were too low for our winter coats. We needed higher, stronger, hooks – and more of them! 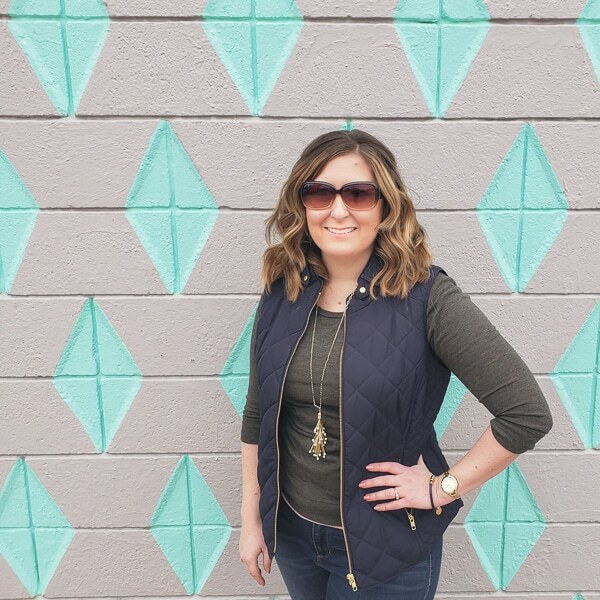 Once I considered how I could improve the function of our garage entry, I moved on to thinking how fun it would be to go with a bold pattern or color on the walls. The limited wall space made it less scary to try something that would normally require more courage. 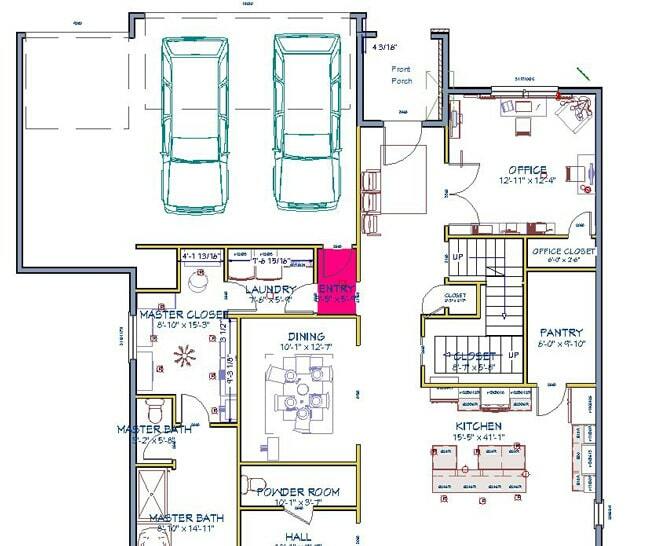 I highlighted the space in pink on our floorplan so you could see how it’s connected to the rest of the house. Here’s what the space looked like coming in from the garage. Those same to do items have been on the board since the week we moved in…three years ago. And who wants to be greeted with a to do list as soon as they walk in the door? Planning fail on that placement! Here’s the view from the main entryway/hallway. And looking toward the garage door. Look at that blank wall space! Even though the “room” has no natural light, I kept thinking I wanted to go with a super dark paint on the walls. I’ve never been happier with a decorating decision. Immediately, the boring space had life! I added a fun DIY coat/hat/glove rack in place of the IKEA board. It looks like art when it is empty in the summer, but will really thrive in the winter when it’s loaded up with gear. I shared the tutorial AND some photos of the organization in action in part #2. Now, I’m sure NO ONE would have ever thought this, but taking photos of a tiny room with super dark paint and lots of shadows isn’t for the faint of heart. AND every monitor is different, so if the space looks a little purple, I promise it’s not. In real life, it is a true navy. 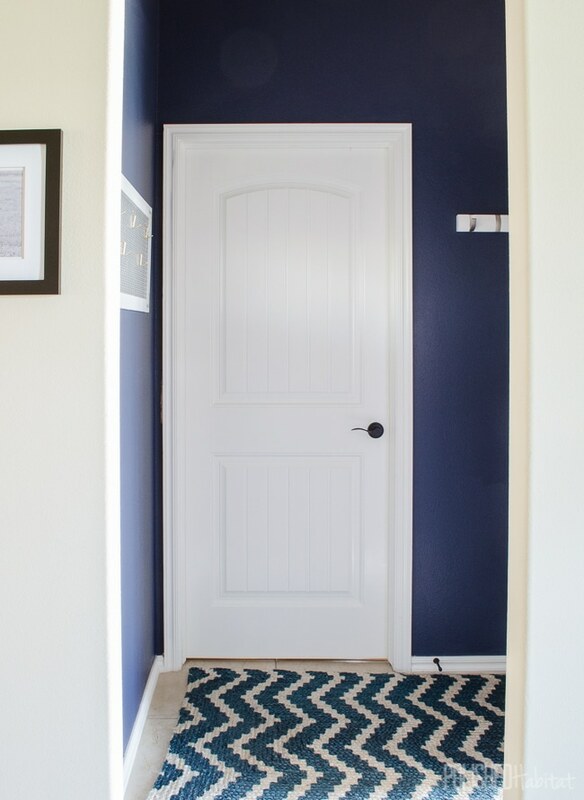 Full disclosure, the color is Secret Society by Behr, but I wasn’t 100% sold on the Marquee paint for the price, so if you now desperately need a navy room, I’d actually recommend Naval by Sherwin Williams (I picked mine up from the HGTV home line at Lowe’s). 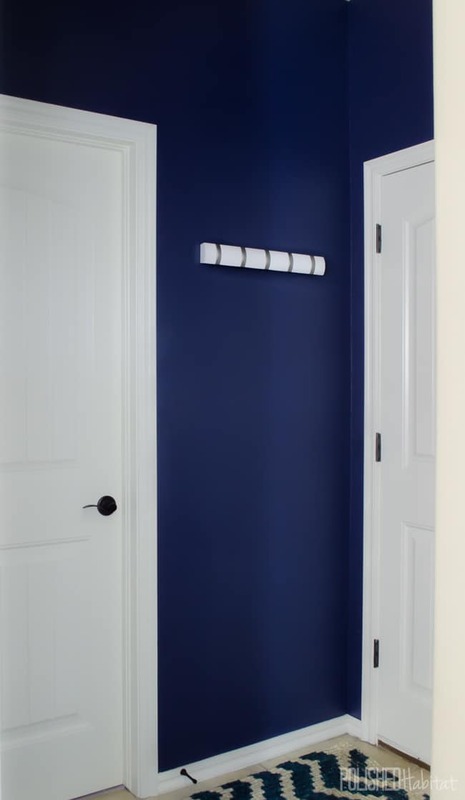 It’s what I’m using in the closet and the colors are really similar. I added behind the door to the garage is SO MUCH BETTER than sliced bread. It’s super flat when we aren’t using it, and then the silver parts flip out to become hooks when you need them. Even flipped out, it is perfect for a narrow space. My purse now lives here, and I’m no longer running around the house trying to find it all the time. I’ll show you what the hooks look like in action in the next post, but love it so much I couldn’t wait to tell you about it! The side by side before and afters are extra crazy. It doesn’t even look like the same house! Don’t forget to pin the image above if you need to remember this color for future projects! And with that, another beige space was banished from the house. 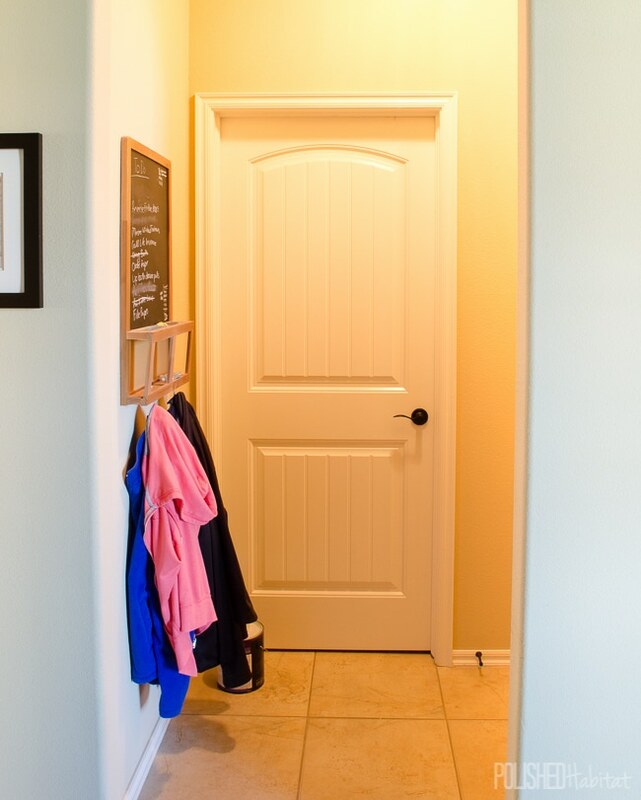 If you like this space, you’ll definitely want to see the master closet makeover . 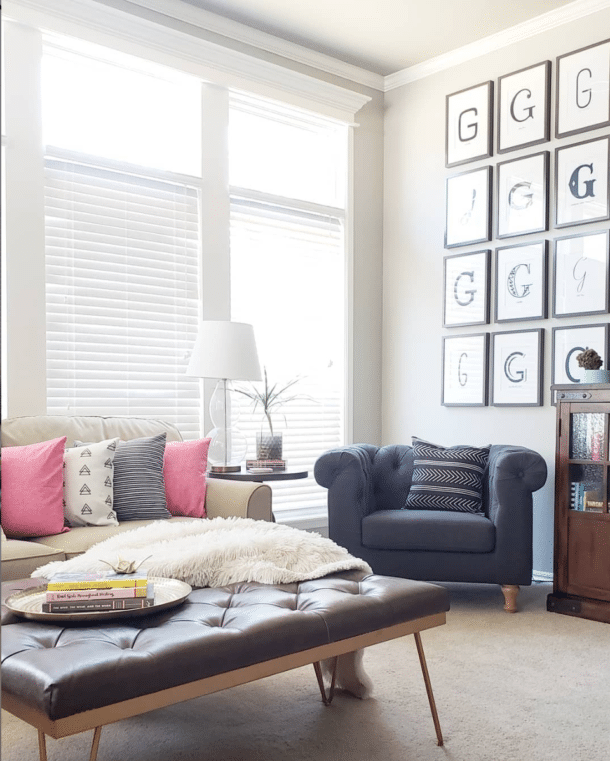 What a stunning transformation of a small space, I love it! Such a great colour!! 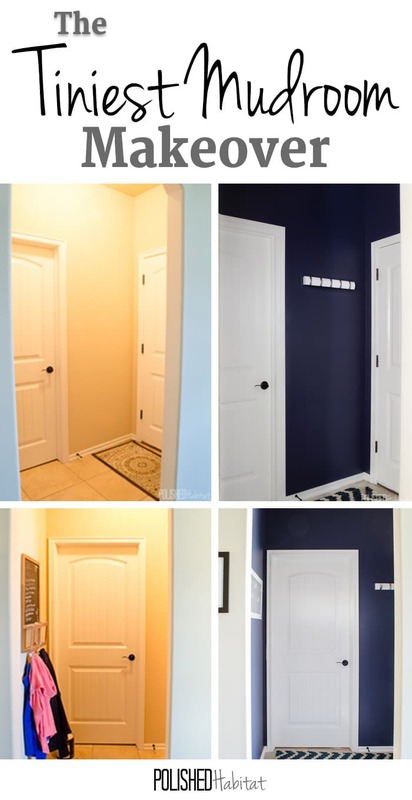 Please – what are the paint color specifics…..you indicate that it’s BEHR but what is the color number please. Hi Michael, I don’t know the number but the color was called Secret Society.